Clarksville, TN – The decaying, dangerous world of mega-popular television show and comic series “The Walking Dead” is not real and will never be our reality. But if zombies did start shambling down our real world streets, it wouldn’t be the worst idea if we had a plan. 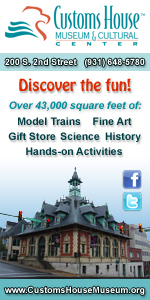 Clarksville, TN – The last few years have been rough for Spain. The unemployment rate is close to 30 percent, which has led to daily protests and civil unrest in that European nation. For some scholars, this turmoil helps explain the sudden popularity of vampire and zombie literature in that country. 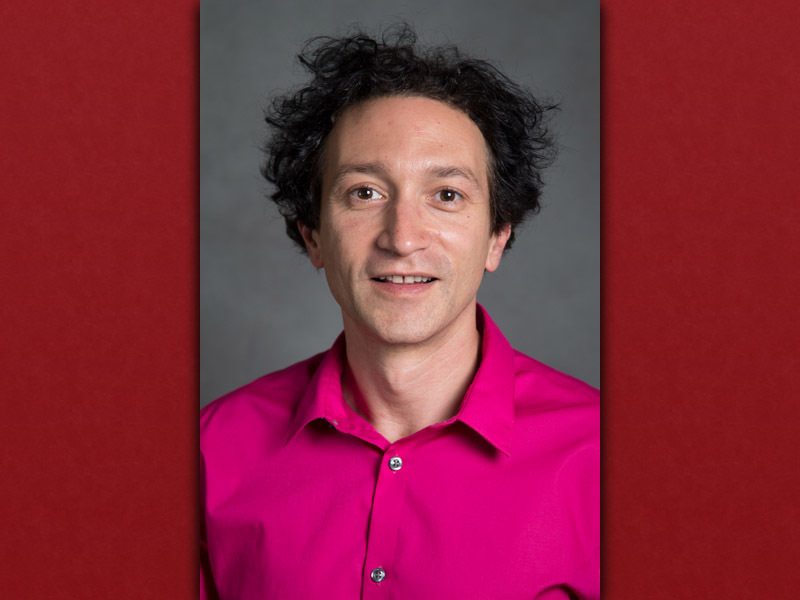 APSU associate professor Dr. Osvaldo Di Paolo. 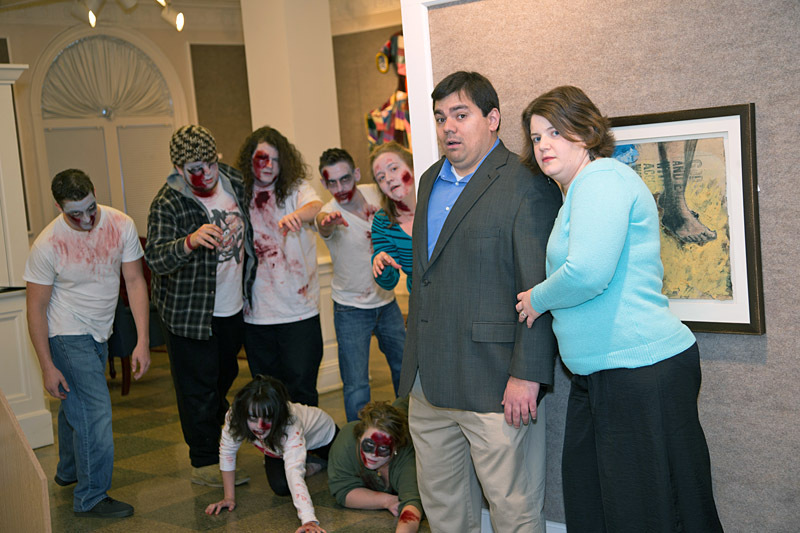 Clarksville, TN – “It would take a perfect storm to achieve a pandemic of zombie apocalypse proportion,” Dr. Amy Thompson, Austin Peay State University associate professor of biology, said during a recent talk at the Nashville Comic Con event. Although a zombie apocalypse is purely fictional, she does think the recent zombie craze offers an opportunity to engage students in important, real-life topics, such as the 2009 H1N1 pandemic. Clarksville, TN – Dr. Antonio Thompson, Austin Peay State University associate professor of history, sat in his office after final exams last December, contemplating the moral implications of killing a zombie. 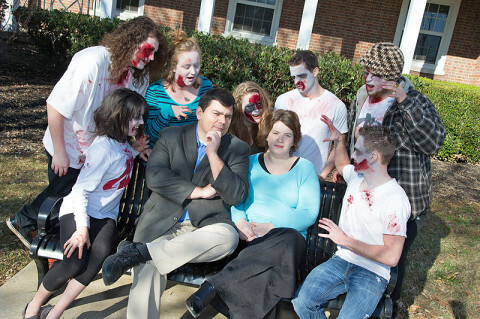 His wife, APSU associate professor of biology Dr. Amy Thompson, was more concerned with how the undead came to take over the world.